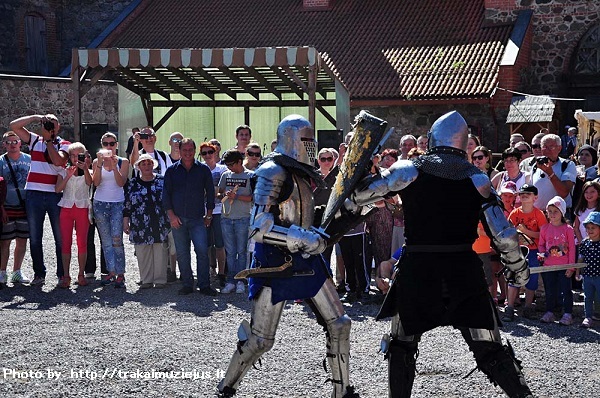 On 15th of June, on the territory of the Peninsular Castle, guests may visit workshops temporarily set by craftsmen. 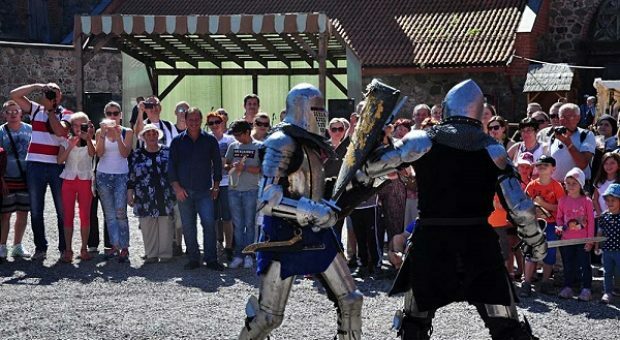 Prime focus of this event is knights‘ fights with swords, bats and battleaxes. Gourmands have a chance to taste dishes, appreciated by people who lived in the Middle Age. Since ancient times, the city of Trakai has been located not far from Vilnius, in a wonderful place of nature, which is full of lakes and constitutes a common theme of songs and poetry. This town is a witness of the Lithuanian Dukes’ times, as a long time ago Trakai was the capital of Lithuania. Right in the middle of Galvė Lake Island like a pearl of a rare beauty sits Trakai castle. Apart from its cultural heritage treasures Trakai glisters with its charming nature, too. A single walk on the shores of the lake surrounding the town will help you to recuperate and ease your mind.